Pack a picnic and your flashlights for NATURE NIGHTS at The Woodlands this summer! You’ll have a chance to spend some after-dark time inside the gates learning more about this important urban ecosystem and the creatures who call it home. 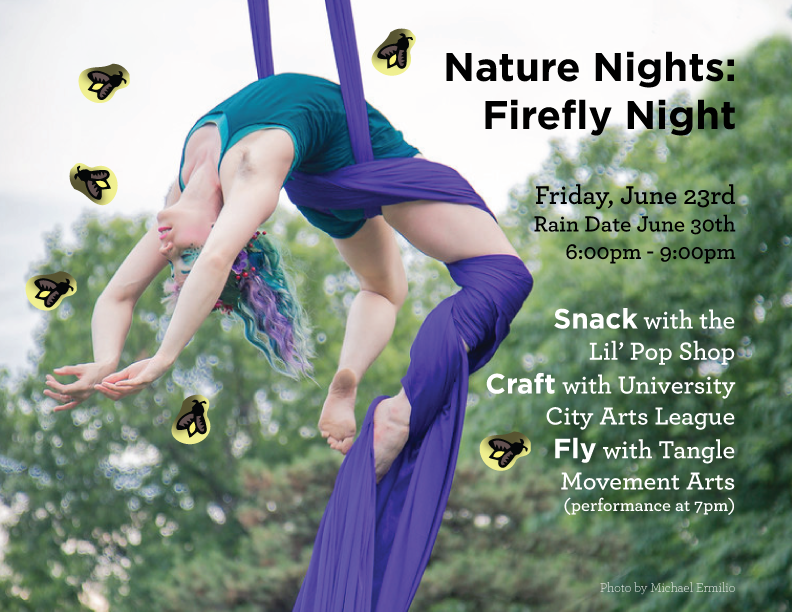 Tangle Movement Arts will dazzle with their firefly inspired aerial performance, treat yourself to local snacks from Lil Pop Shop, and take part in fun activities and crafts with the University City Arts League. Karen has worked at the Academy of Natural Science for over 13 years and oversees the live invertebrate collection. 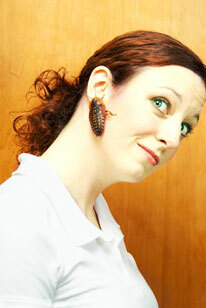 She has worked with and studied live invertebrates for over 25 years. Karen will be here to teach about everyone's Summer favorite, the Firefly! Parking is limited, so please consider walking, biking, or taking public transportation. In case of inclement weather, Firefly Night will be postponed by 10AM Friday morning.